i started doing yoga in January. more than just a successful new year's resolution, it is quite possibly one of the best things i have ever done for myself – physically and mentally. 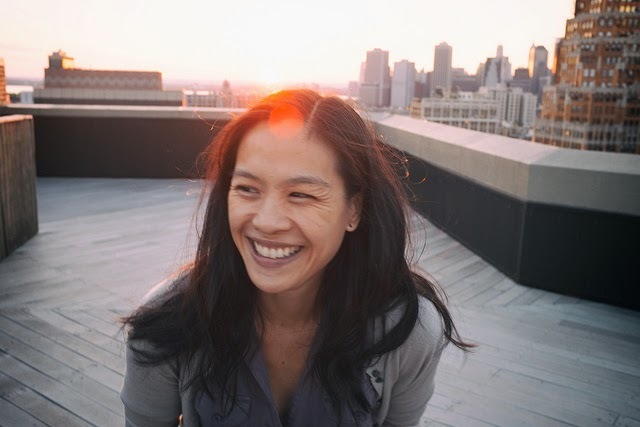 so i was thrilled when the lovely and inspiring Peiling agreed to have a conversation about yoga, her journey to becoming a teacher, and the best things about summer in NYC. I’m Peiling Junek, a transplanted Bay Area Californian to lands east of the Mississippi since 2002. I’m a writer and a yoga teacher. I teach at Kula Yoga Project in Tribeca and Unity Yoga in Central Harlem. I live in downtown Brooklyn with two very cute but lazy pet bunnies named after food (Salumi and Pancetta) and my very patient husband Evan. If you had to sum me up in just a few words it would be: yoga, the Civil War, and food. 1. how did you get into yoga personally and professionally? I refused doing yoga for years because I wanted to be different from my two older sisters, and because I thought I needed something more aerobic for exercise. My sneaky oldest sister gifted me a month of unlimited yoga for $45. She knew I couldn’t resist a good deal. Luckily I immediately came under the tutelage of some amazing teachers, and thus began what I hope will be a lifelong relationship with the practice. "Yoga is a cornerstone of my life. It fosters resiliency, patience, compassion, among other things, and acts as place of refuge and empowerment – all of which draw me back to my mat every day." For many years I disliked the idea of teaching because I didn’t want to turn yoga into a source of stress and livelihood. Back in January 2013 Kula Yoga Project launched their inaugural 200-hour teacher training, and I jumped at the chance to deepen my practice. I didn’t think I’d end up teaching afterwards, but opportunities just came my way, and I discovered that I loved teaching. Connecting with my students adds so much dimension and significance to my life, which makes the stress well worth it. 2. how did you transition into teaching yoga? I was and still am a writer. The first year I lived in NYC I worked one miserable year as a grants writer at a non-profit. I got laid off during the economic downturn, and decided to spend some time developing a book on desertion during the American Civil War. I had done an honors' thesis on the topic in college, and had been encouraged by an editor at one of the publishing houses to think seriously about the prospect. I spent the next few years finding my footing, researching, and writing. I had exhausted my mental and emotional reserves with the project by the time yoga teacher training came along, and welcomed a hiatus. My teaching career took off pretty quickly after training, and I still struggle these days to strike a balance between getting back to the book and teaching yoga. It’s a work in progress. 3. what is a typical day like for you? what school of yoga do you teach? any favorite poses / routines? My days vary considerably, and my schedule is often different from week to week. In addition to my own classes, I sub classes for other teachers, most often at Kula Tribeca and Kula Williamsburg. I’m teaching anywhere from four to fifteen classes a week, plus private lessons. Some days I hit the ground running early, and arrive home really late. Other days, I’ll teach one or two classes, but spend the rest of the day planning classes for the week. If I’m having a really good day, I find time to get some writing or research done, too. Ideally, I’d love to teach a class or two a day, take class, and still have time to do other work and spend time with my family. I’m a vinyasa teacher, but I teach Kula Flow, which is an alignment-based methodology with very intentional, creative sequencing. When you take my class, every pose and breath is in there for a reason, usually building up to a peak pose or to explore a particular asana theme. There’s nothing arbitrary. It’s a jigsaw puzzle, wherein every piece has a specific function and place. I don’t have a go-to set of poses or a routine that I practice at home. I’ll usually play around on my mat to figure out what I’m going to teach. Once that process has distilled into an actual class plan, I’ll practice that. I do love arm balances and inversions, so I’m always working to refine that aspect of my practice. I also try to make time for restorative work (using props) and body work/self-massage (foam roller or rolling around on balls). 4. it amazes me how my yoga practice has improved my overall mental perspective and other habits. what is your approach to teaching yoga as both a mind/body practice? any tips for someone new to yoga? Yoga most definitely is a mind/body practice. It's a philosophic tradition that’s thousands of years old. Asana – the physical component with which the Western world is most familiar with – is just one part of the practice. The idea is that we use asana, in conjunction with the other seven limbs of yoga, to work on ourselves from the outside in. When I teach I aim to connect my students to their bodies and their breath, so they can cultivate a greater sense of self-awareness to perhaps do this kind of work on their own. "Asana purposefully links breath and movement to produce a moving meditation that helps clear the mind so we can undertake that work. We manipulate our physical layers (muscles, body, breath) in order to get at what’s underneath. It’s a bit like peeling back the layers of an onion, or dismantling a Russian nesting doll." In yoga, mindfulness can be a wonderful thing, but it can also be a double-edged sword. Too much, and you begin to obsess. Too little, and you can’t really be present. There’s a sweet spot, but it’s hard to find. I encourage my students to be mindful without overly fixating on every single little thing in their practice, which can be counterproductive. "I like to think of mindfulness as a muscle, it requires training and use for consistent results. Eventually, with enough practice, it becomes second nature and you don’t have to think about it anymore. It just is. A consistent yoga practice does work the mindfulness muscle in that way, which is why yoga is a great tool in everyday life." For newbies my advice would be to start with a basics class. It’s alarming to me how often I get students with zero or not enough experience in my intermediate/advanced level classes. It’s really not safe to throw yourself that far into the deep end right away, and your teacher cannot neglect the rest of the class to ensure that you’re doing ok 100% of the time. Learn to listen. Train your ears to be detail-oriented so you can better assimilate information during class. Even if you’re not able to physically do what the teacher is asking, it’s important to log the information away in your memory bank for later on when you can. Breathe, deeply and slowly. In a vinyasa class, the breath is important, not only because it’s a metronome for the flow of class, but also because of its effect on your nervous system, especially when you are physically pushing yourself so hard. You can’t get to that place of moving meditation without the breath. "Try not to get frustrated with your body’s physical limitations. It may be a while before you’re able to touch your toes in a forward fold or stick an arm balance or an inversion. Patience paired with effort will hopefully get you there one day. Do make peace with the idea that there may be certain things your body may never be able to do." Consistency and patience are key. If you’re able to get a class three times a week, you’ll likely start seeing changes in your body, mood, perhaps state of mind. Don’t take yourself too seriously. Know the difference between work and play, and that the goal isn’t perfection, but being in the process and detaching yourself from results. On an innate level we’re drawn to movement, I think, because it feels good, it frees us, and can help us connect to ourselves and others. That’s “play.” Oftentimes it takes hard work to get there. 5. there's no question that yoga has exploded in mainstream popularity in the last two decades. there are some downsides to that, like a sometimes ego-driven, competitive culture at some studios. what is your take on how yoga has evolved as a professional field since you started practicing? I’ve been practicing yoga since January 2009, and I’ve had the good fortune to be a student in very nurturing environments. Rarely have I encountered competitive individuals in a group class. That’s not to say, however, that that vibe doesn’t exist, or that yoga as a profession isn’t fraught with difficulties. It can be, and often is a path marred by cognitive dissonance and unpleasant challenges. 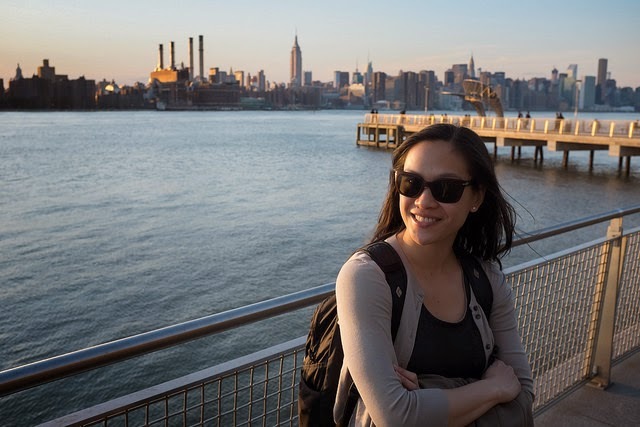 There’s always going to be an uncomfortable middle ground that you occupy when you combine passion and livelihood, particularly in an oversaturated market like NYC. All you want to do is teach and guide others in any way you can, but then how do you make rent, how do you pay for food? I think this will be a perennial issue that my profession will face – how to remain authentic to your vision and mission while reckoning with the messier realities of life. "To keep my head on my shoulders I constantly remind myself that I teach just to teach, not for praise or ambition, or to be anybody’s guru, but just to be in it with my students as best I can." 6. what's your personal style these days? what are you into lately style/beauty-wise? "My personal style is very laid back and low key. I’m all about comfort and utility, rather than making bold fashion statements. My aesthetic hasn’t changed much over the past decade, but I do care more about quality. 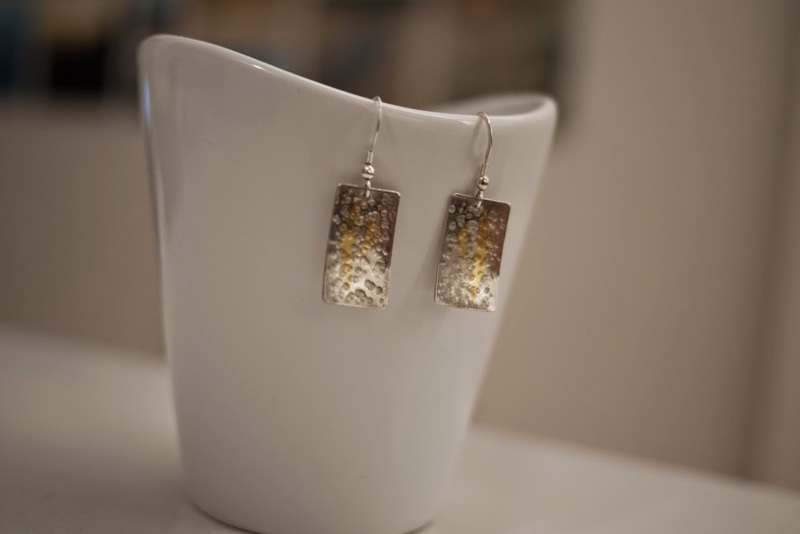 These days I’m more willing to pay the premium for pieces that are well made and will last longer." I’m usually trekking around the city in jeans, a tank top, cardigan/pullover, a jacket, and a pair of sneakers. I love my Nike Frees and my Saucony Jazz. I just recently changed my beauty regimen, switching almost entirely to the Dermalogica line of skin care products. I have very sensitive skin, and their cleansers, masks, and moisturizers work wonderfully for me. Style wise I’ve been trying to find accessories that will help my solids-biased wardrobe pop a little more. 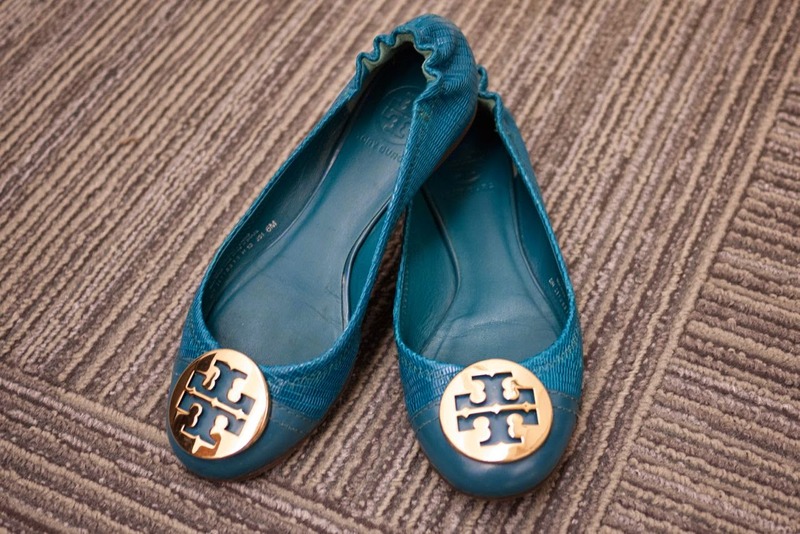 I recently bought a pair of Tory Burch ballet flats in an amazing electric blue color that does the trick nicely, and my jewelry tends to be more colorful or interesting these days than my boring old pearl studs. 7. do you have any wardrobe essentials / a style uniform? 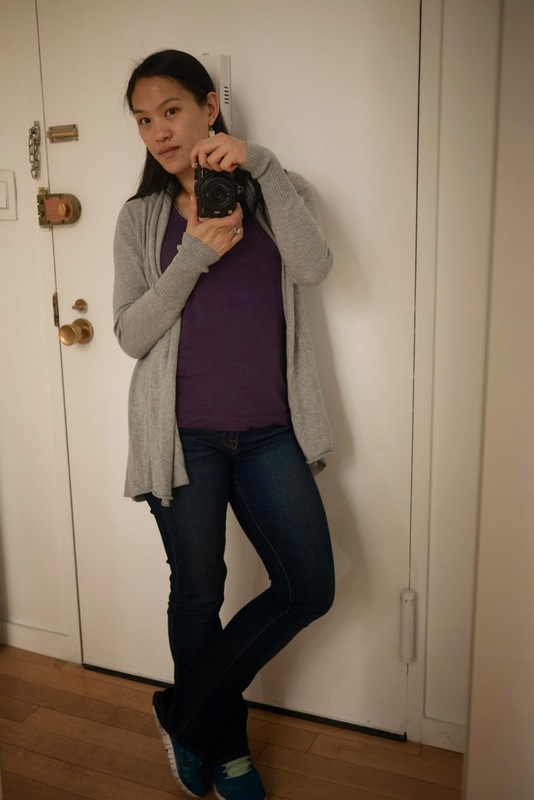 what do you wear when you're working? on the weekend? It’s all too easy as a teacher to just live in yoga clothes 24/7, but I try to wear real people clothes when I’m not on the clock. For practical day-to-day I’m all about layering. I’ll run around in a pair of Lucky jeans, some sort of tank (lately I favor the ones by Icebreaker), something long-sleeved, and a jacket. That’s all topped off by either my Nikes or Sauconys. 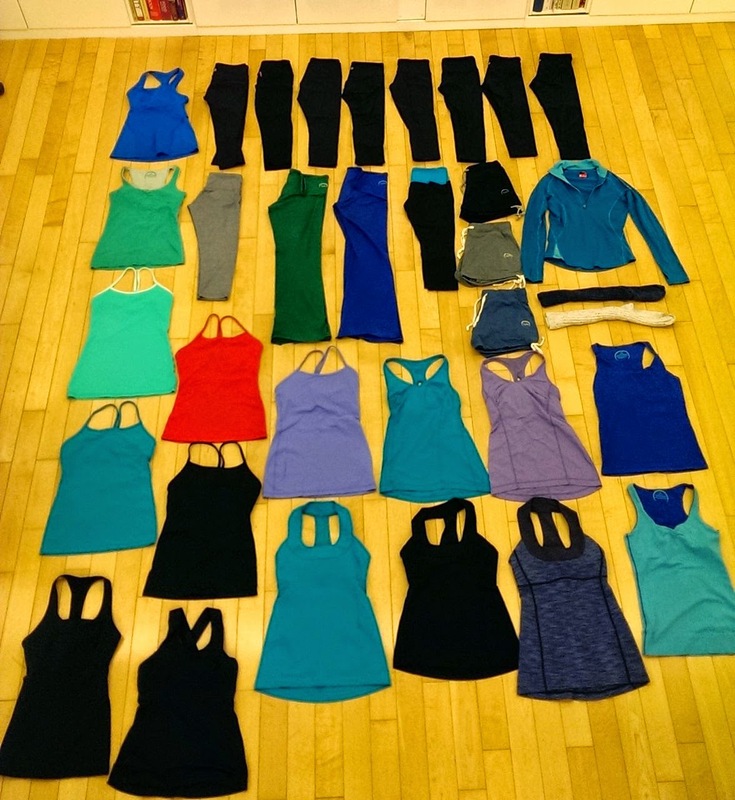 I own an embarrassing number of Lululemon’s Wunder Under Crops (probably 7 pairs) and Power-Y tanks, which I often wear both to practice in and work. They’re really comfortable and last a long time. They’re definitely the workhorses of my teaching wardrobe. I love, love, love the apparel made by Hyde Yoga. All their gear is made from organic cotton. Their cuts are incredibly flattering and soft, and the colors are gorgeous. Their design is minimal and clean, and the clothing itself is lightweight, which is a nice contrast to the super stretchy and tight stuff you see everywhere. I could easily live in their clothing all day, every day. If I need to dress up a little, I’ll pair simple, accented top with darker jeans, a nicer pair of shoes, and simple, but elegant earrings. I’m all about simple and understated wardrobe choices. 8. is there a personal or sartorial piece that's really special to you? what's the story behind it? I’m the only person in my family with pierced ears, and I kind of did it on a whim while I was living in the UK in my early 20s. Some members of my family were quite scandalized. My sister said, “Well, that’s not very Confucian.” I never would have thought about it that way, and it nicely illustrates the very different worldviews that we tend to have, which can sometimes strain our relationship. Despite that pronouncement she still gifted me a beautiful pair of earrings that her friend had made. On one level, they’re just earrings, but on another, they’re my sister’s way of saying that despite our disagreements we still very deeply care about each other. 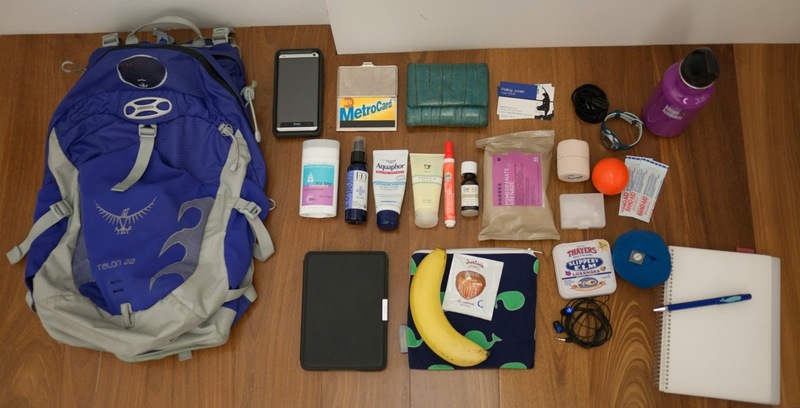 9. what bag are you carrying lately, and what's in it? When I’m teaching I carry an Osprey backpack. If I had to prepare for the Apocalypse, this is the bag I would choose to take with me. It’s so well made, and withstands my abuse without showing many signs of wear. I’m a luck-favors-the-prepared kind of person, so my bag is full of the oddest things. Bergamot essential oil, a spare sports watch, business cards that my husband designed for me, notebook and pen (either a Muji or Moleskine). I was just gifted a Prada tote, and it’s incredible! It’s beautiful and functional, and was a much-needed upgrade. I travel a little lighter when I’m off duty. I always carry some form of pen and paper. If I’m out and about with my husband, I usually have to make room for his kindle, sunglasses, and camera. 10. now that summer is in full swing in NYC, what are you looking forward to? what do you love about your neighborhood? I’m looking forward to tall, cool drinks. I’m partial to Negronis, dark and stormys, Pimm’s cups, anything with St. Germaine or cucumbers. Lightening up, generally. It was a brutal winter full of heavy coats, lots of soups and stews. I love running around in shorts and flip flops, and stuffing my face with ceviche, gazpacho, sweet corn, tomatoes, bean salads, and ice cream (though that’s more of a four season kind of food for me). 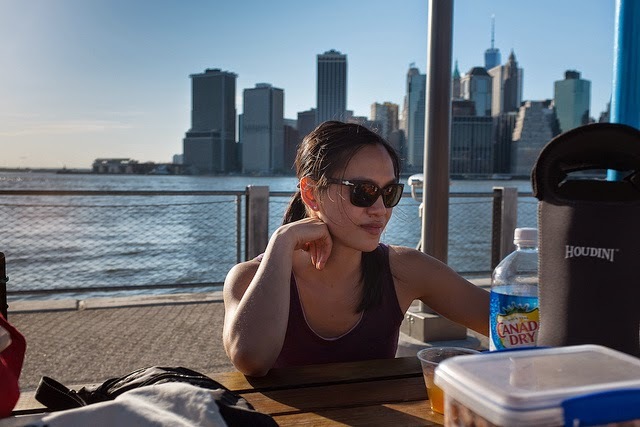 We live near Brooklyn Bridge Park, and every Sunday there’s Smorgasburg, a gathering of one hundred food vendors offering everything from ramen burgers to lobster rolls to donuts! The park itself is really a remarkable public space. There’s public BBQ grills, lots of benches and green space, playing fields, an area for pier fishing, and restaurants. 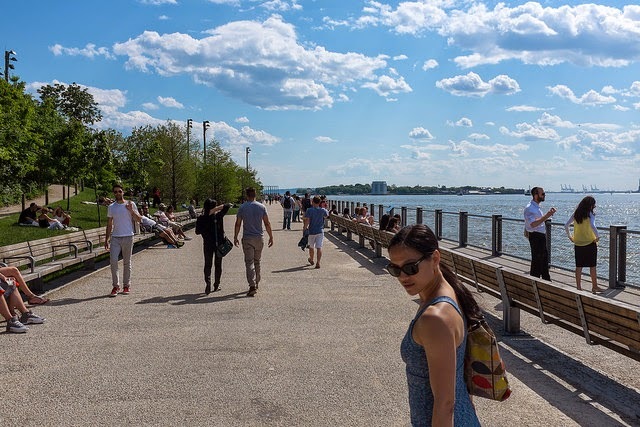 We’ll often carve out some time on the weekends to take a leisurely stroll through the park, and then wander back home through Brooklyn Heights. I love the variety of my neighborhood. On my block alone, there’s the New York Transit Museum, a Greek orthodox cathedral, a bank, schools, apartment buildings, and a smoke shop. If you go a block in either direction the flavor of the neighborhood changes significantly. I love that old stalwarts of the neighborhood – primarily the old Italian bakeries, butchers, and restaurants – rub shoulders with the newcomers. The food offerings are so good. There’s too many amazing restaurants to list, but we love going to La Vara, Buildling on Bond, Mile End, Ganso, and Queen, just to name a few. 11. what are you passionate about? who / what inspires you? I am very passionate about history, particularly research. When I’m at the National Archives in Washington, D.C., I succumb to “research rapture.” I get so into some new discovery or connecting the dots between records, that the world seems to unhinge and open wide. I feel as if I can see everything relating to my topic so clearly that my mind races. It’s probably the nerdiest high out there. Most people find it odd that I can be so into two such opposite things – the study of the Civil War and the practice of yoga. In many ways, though, both pursuits are about discovery and narrative, about connecting more deeply with other humans and oneself through introspection. "My students really inspire me, more than they know. There’s no greater feeling for me than teaching a room of devoted students who are just so in that moment with you. It’s exhilarating. Watching them progress in their practice over time is so fulfilling. Their sense of humor, and willingness to try anything always surprises me and restores my faith in people, as sappy as that sounds." Beautiful interview, really made me want to get back into yoga. I took an ashtanga class once a week for years and really loved it, but as time got more scarce it had to make way for less class-dependent forms of exercise. I did recently create a logo for a Bikram Yoga centre and have been told I will get a bunch of trial classes once they open. I am very excited to try it out! i have a few trusty basic yoga dvds that i use all the time for short sessions at home to complement class sessions; very practical and inexpensive compared to studio classes every day. I really enjoyed reading this interview! I've taken a Bikram class and tried a few dvds but nothing really stuck. Any dvd recommendations for a beginner?